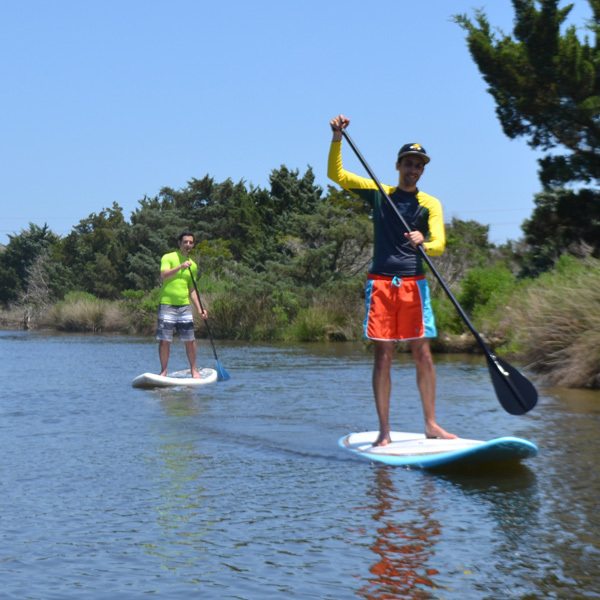 Try out Stand Up Paddleboarding with Kite Club Hatteras. This 1 hour lesson will go over SUP safety, proper paddling technique, correct posture and tips for maintaining balance. Lessons will begin off our docks on flat water, through the canal and out into the sound where the water is about waist high. SUP Board, paddle, and life vest are included in price.